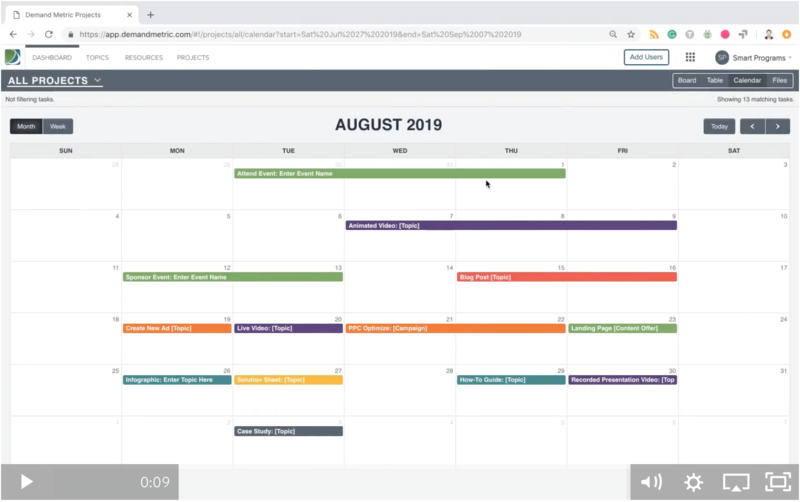 Use Demand Metric to manage all your marketing activities in one, easy-to-use marketing calendar. Simply go into the calendar view, and choose the month that you would like to manage. You will see all your projects within that month organized by date. As marketers, we all know that deadlines get pushed back. 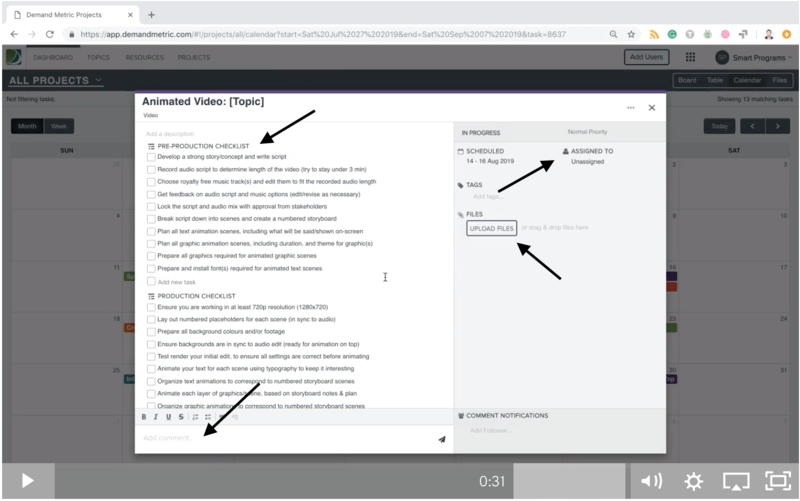 If this happens for one of your projects, simply click and hold on the project and slide it around to change the deadline. You can slide it over a few days or a couple weeks depending on how much your dates have changed. 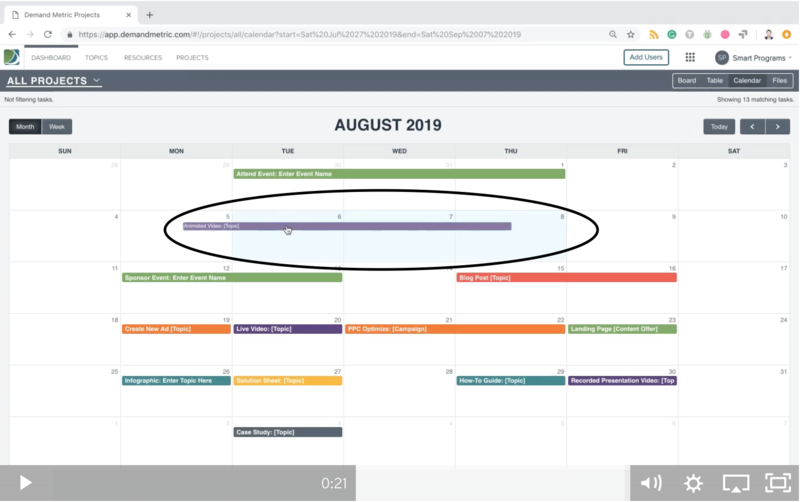 You can also click on the project within the calendar view, and the task box will open where you can easily see and edit the details: your checklist, users assigned to the project, access the relevant files or send a message to the users. Organizing and managing all your marketing activities has never been easier! Want to learn more? Learn how to launch one of our Smart Projects.